We are excited to announce a new book written by James C. Thompson due to hit the market by the end of October! Painting America’s Portrait – How Illustrators Created Their Art is the first in a two-book set. 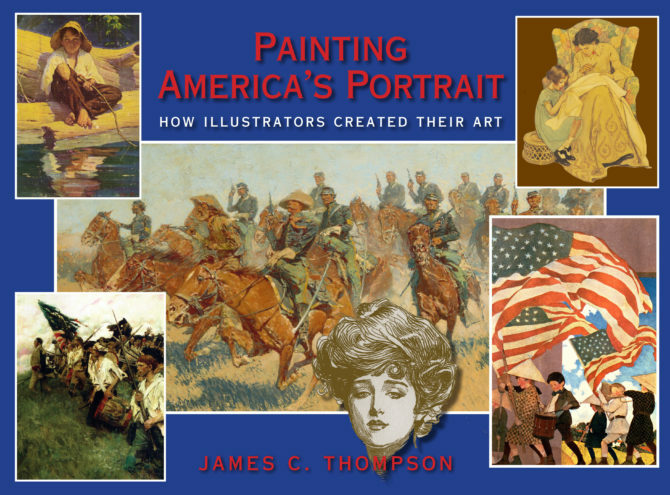 In this book, author James Thompson shows how advances in image production and reproduction technologies during the last decades of the 19th century and the first decade of the 20th century improved the appearance and effectiveness of advertising and illustration art. Mark Twain called it “the Gilded Age”. During these years, America industrialized, its leading corporations began national marketing campaigns, and the American public transformed into consumers. 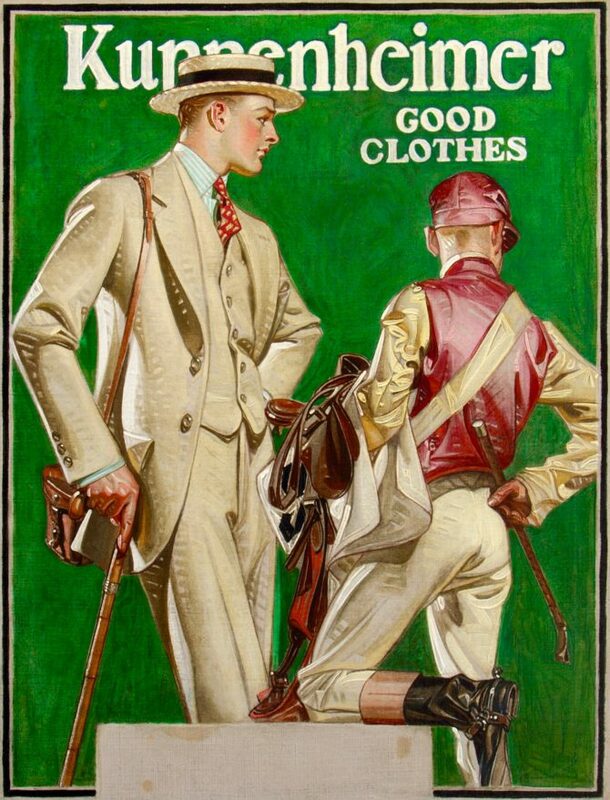 And producers of manufactured and printed products began employing illustrators to sell them. America’s artist admen and storytellers responded by creating increasingly colorful and appealing images. Viewing these images conditioned Americans to see themselves in terms of products and to lose themselves in stories. Mr. Thompson’s pictorial narrative begins with the westward migration that followed the Civil War. As the Wild West was being pacified, financiers and corporate titans—Robber Barons—were creating a commercial network that stretched from sea to shining sea. 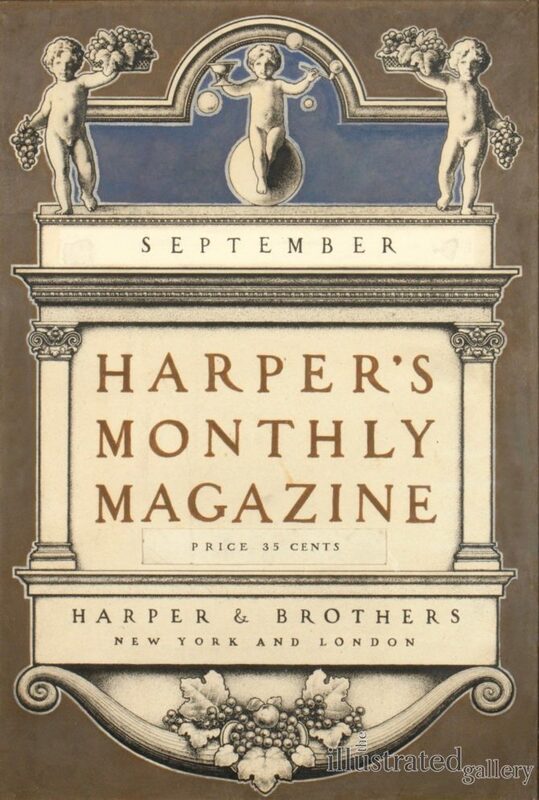 Growing numbers of Americans found happiness in that bustling, upwardly mobile age by eating Cream of Wheat, wearing Hart Schaffner & Marx suits, bathing with Ivory and Palmolive soap, driving Pierce Arrow automobiles, and inhaling Lucky Strike cigarettes. 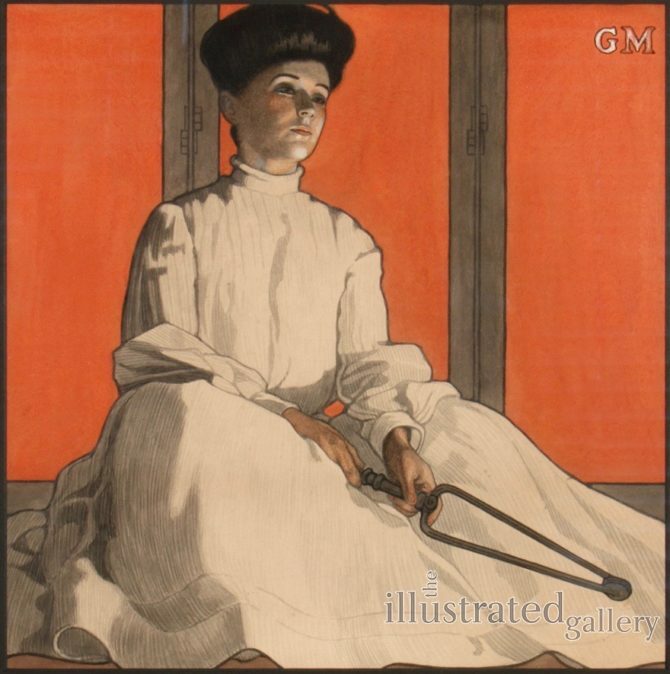 Reading became even more popular in the first decade of the new century when color photography and offset printing had made it possible for Jessie Willcox Smith, Maxfield Parrish, N. C. Wyeth, and a host of their contemporaries to create brilliantly colored illustrations for adult magazines, adolescent adventure stories, and nursery rhymes for children. Illustrators were in their Golden Age when Woodrow Wilson declared war on Germany. Called to serve, they used their unique skills to help their Uncle Sam win that terrible war. In book two, Thompson explains what they did. Painting America’s Portrait – How Illustrators Created America will be released on 6 April 2017. This is the 100th anniversary of America’s entry into World War One. 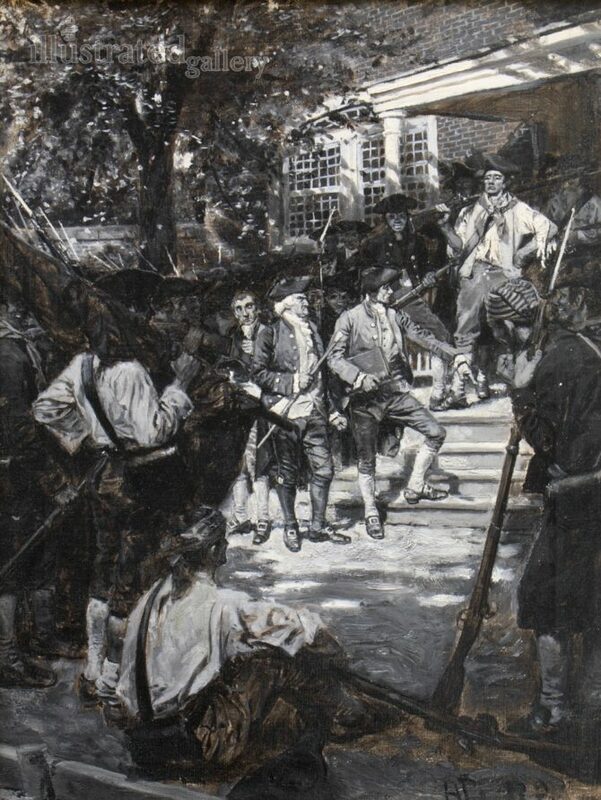 The Image Credits in the back of the book contain detailed records for each work in its four galleries. The author has also written biographical sketches for thirty of the book’s key artists. 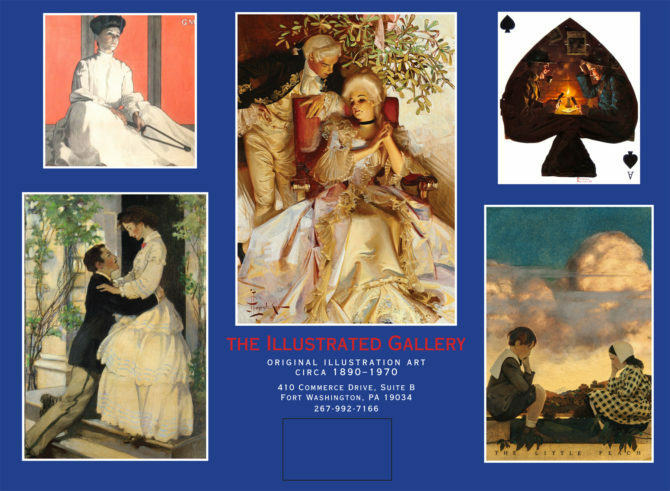 This information and its presentation make Painting America’s Portrait a valuable reference book.